A little white dress is just as essentials as a little black dress is in your closet. This one from Elliatt has an interesting cut and the perfect flow when you walk. 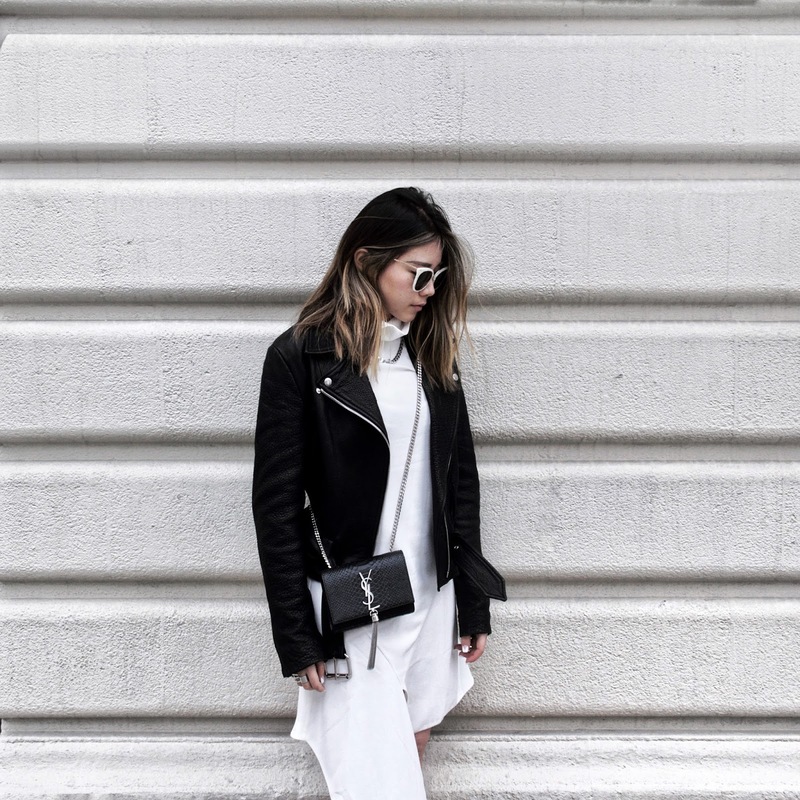 Just add a leather jacket and some good accessories to edgy up in the look.